We were moving. I was an enlightened teacher. I knew children need to move as part of their healthy development. It was morning group time and I was having the children move to music, creating a story that matched the mood of the music. We were lions waking up and then running and leaping. All of the children were moving and contributing ideas. Well, almost everyone. Greg had ducked behind a shelf. I tried to get him involved, but he said he was tired. I gently tried a few more times, but didn’t want to pressure him. Maybe next time I can get him moving, I thought. 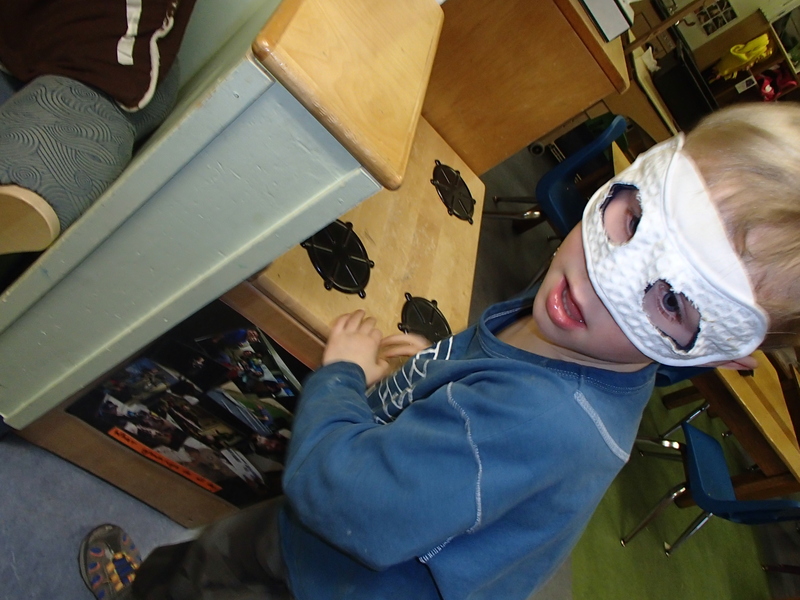 Suddenly, this quiet child put on a mask and pretended to shoot at all the bad guys. He leaped to his right, ducked behind the couch, rolled on the ground and stuck his wand out again. Soon a few other boys joined him. Greg added a police hat and a tool belt, and he was ready for round two. Sometimes they attacked the bad guys. Sometimes they jumped and rolled on each other. It was as if something inside Greg had woken up. Something I was unable to do with my planned activities. I thought I was an enlightened teacher, but I realized I knew nothing. cognize it. The truth is, a few years ago, I would have told Greg and the other boys to calm down when they started roughhousing. The very thing that got them moving, for Greg the only thing. Planning movement activities is not enough. 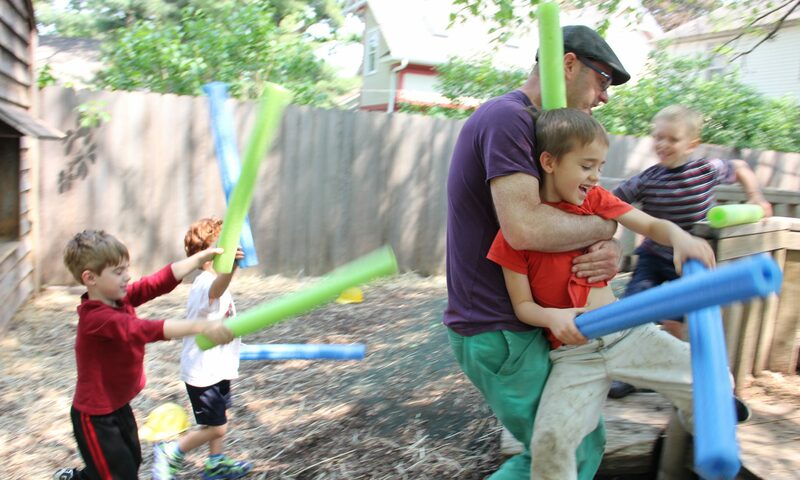 Getting children outside for long periods of time is not enough. Having a mat set aside for boisterous rough-and-tumble play is not enough. 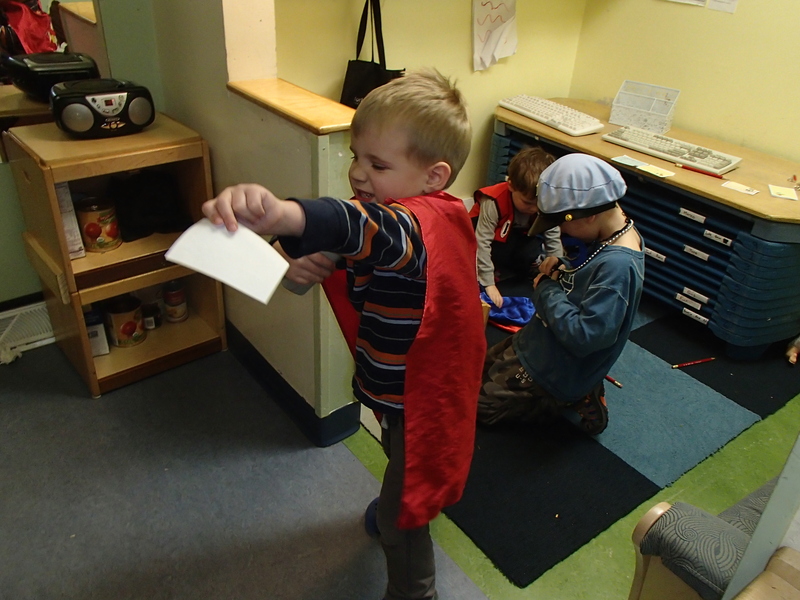 Children need a sense of power, a chance to take risks, and a choice in how they move their bodies throughout the day. Greg, and many others like him do need to move their bodies, but they might not do it when the teacher plans it. We can’t address a child’s physical development for fifteen minutes and then move on to the child’s literacy skills the next fifteen minutes. We need to be aware of the whole child the whole day. Kids like to take risks, some more than others. The adults can make sure the risk is acceptable, but we can’t eliminate all risk nor should we try. 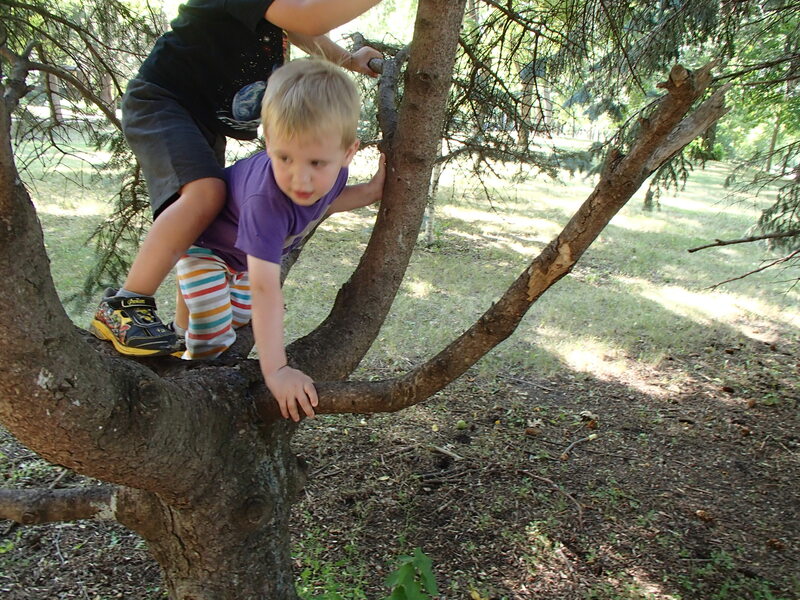 Children gain a lot from risk including confidence. Too often we try to boost children’s confidence by heaping praise on them. But saying “Good job!” a hundred times is fairly meaningless compared to letting a child climb a tree or run up a slide. The challenge followed by the accomplishment (maybe after several tries) is much more fulfilling. I walked over and watched the kids go up and down on the rocks. As their confidence built, some of the kids quickened their pace. I did mention that some rocks might be loose, but I doubt anyone heard me. They continued going up and down for about five minutes before sitting down for food. I know that if this happened five years earlier, I would have stopped it, and maybe had them go down on the grassy part of the slope. 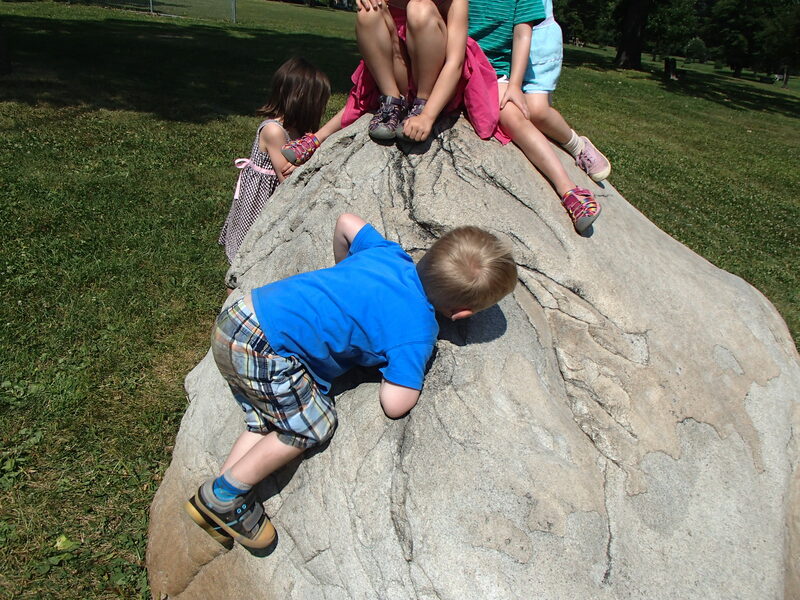 But they chose the rocks because it was a challenge and more risky and therefore more fun. They ran for about five minutes, smiling the whole time. Not only did it boost their confidence in themselves, it boosted my confidence in them as well.